The Duplex Version differs from our other machines systems as a result of two application heads in one machine. 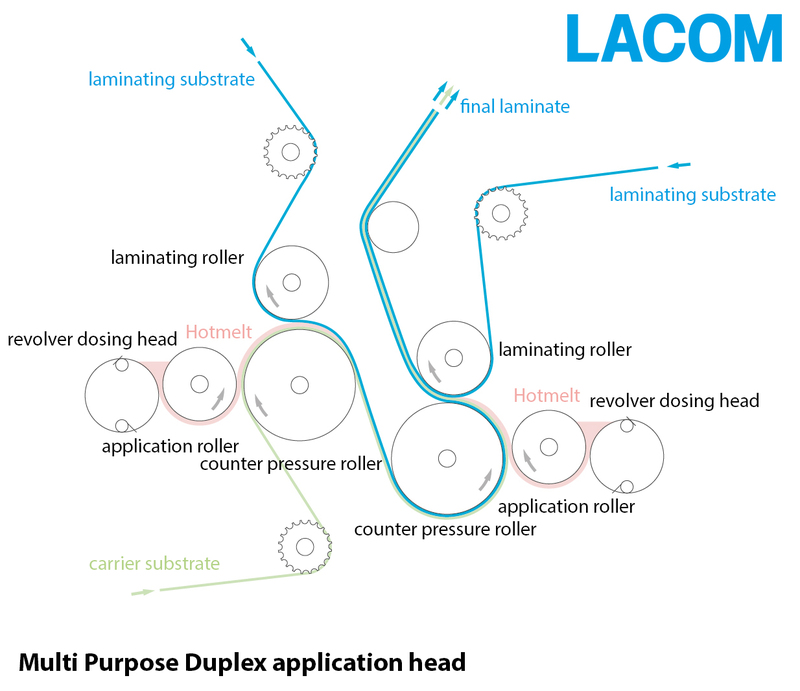 Through this combination it is possible to produce triplex laminates in a single step and connect three substrates to form a laminate. With this technology, complex laminates can be produced quickly and easily.